Mr. Satya Shankar Mahapatra has a proven track record of 17+ years in the areas of Investment Banking and Financial Services. He has worked in various capacities such as Delivery and Project Manager for the Credit and Market Risk programs, Senior Analyst for Algo Trading Platforms, Quant Analysis, Strategic Risk Program, Business Consulting in Operations and Technology. He has worked at global behemoths like Polaris, Infosys Limited, Credit Suisse, J.P. Morgan and is currently working at Barclays Investment bank in the capacity of Senior Vice President. He has completed his masters from prestigious Xavier Institute of Management, Bhubaneswar (XIMB) and graduation in B.Tech from NIT Calicut. Mr. Mahapatra is an alumnus of my institute. 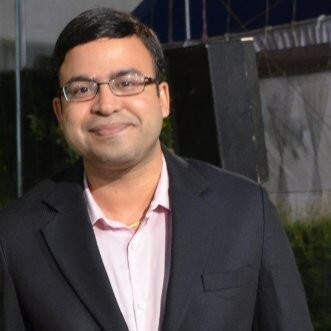 When this particular opportunity came up to interview an industry leader, I connected with one of my good friends who, in turn, suggested that I interview Mr. Mahapatra. He assisted in getting connected with him. Thereafter, I went ahead and contacted him, and briefed him about the competition with a request to take out some time to do this interview. He was very accommodative and gladly agreed to help me. He recalled an incident when he just joined XIMB – one that involved him getting anxious while studying the subject accounting. The grade he attained was a shocker for him, as he had never expected to receive such low grade. He took it upon himself to work hard, learn all aspects of finance and to excel in the domain. Looking back he felt those long hours spent on the intimidating domain of finance helped him to develop a financial accounting package for the treasury and understand risk evaluation. He is passionate about keeping himself updated with all the trends in the industry by reading articles & magazines, attending conferences, doing certifications and networking with as many people as from different industries. He stresses the importance of networking as it helps him to get different perspectives from different types of people. Also, he loves travelling. Given his father was in the Army, he has travelled to around 22 states and during his consulting stint, he has travelled to around 8-9 countries. As per him, travelling helps to be more open-minded and to understand different culture as well as the human aspect behind the professional demeanour. Curiosity, Enthusiasm and persistent are the three key attributes he looks for in a candidate. Also, he highlights how people who are flexible and eager to network built great careers. And as always, good communication skills and openness to learning go a long way too. Network with as many people as possible, it gives an opportunity to know various perspectives and gather knowledge. All the best Soumya! Keep up the good work. A very good article. Great work. Definitely a great read! Looking forward to more. Very practical learnings from the interview. A must quick read for budding MBA professionals. A very well structured interview. Excellent read. Well structured and insightful. Passion, Networking and perseverance. That’s what drives our growth.